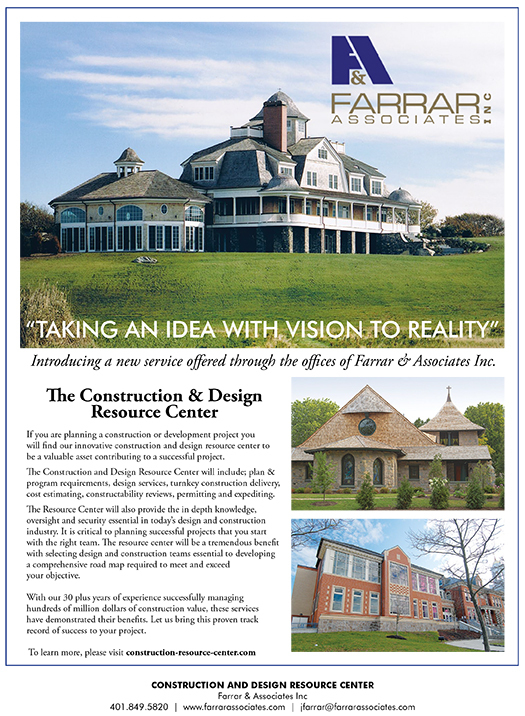 Farrar Associates in the Providence Business News – Taking an Idea with Vision to Reality. Introducing the Construction & Design Resource Center. If you are planning a construction or development project you will find our innovative construction and design resource center to be a valuable asset contributing to a successful project.